DESOTO—The Islamic Relief USA’s summer feeding program is being made possible a little closer to home this year since the organization awarded a $10,000 grant to a local group – the Family Joint Venture Foundation (FJV). The grant is to help feed children during the summer, as part of the United States Department of Agriculture’s (USDA) Summer Food Service Program. Many children experience hunger, or at the very least, food insecurity and FJV would like that to end. For the most part it is because children lack access to lunches during the summer they would have received while attending school. Fortunately, with the grants provided by Islamic Relief USA, children under the age of 18 are eligible. 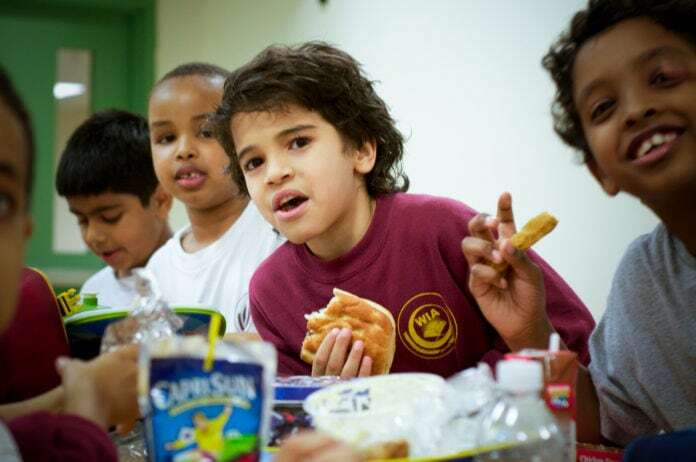 To qualify they must come from low-income households and receive or reduced-price lunch during the school year. The Islamic Relief USA, a non-profit humanitarian and advocacy organization, made the grant money available to all community-based organizations that were interested in the summer feeding grant. As a result, the Family Joint Venture Foundation was among those organizations that applied and was successful in receiving the grant.Their goal is for area youth to continue to have access to a nutritious mid-day meal during their summer breaks. A total of 1,700 kids are provided these meals, both during school and breakfast over a 52-day period. The grant helps pay for the food costs of the program, as well as transportation, equipment and staff pay. Each program has its own menu. It varies by site. In the case of FJV program, it is for breakfast and snacking as well. The program started on June 4 and will end August 14, 2018. FJV has summer feeding programs in 25 different sites. All the foods are prepared in FJV’s commercial kitchen in DeSoto. Working in the area since 2011, the Islamic Relief USA adheres to the USDA’s idea to encourage summer meal programs like the ones supported by Islamic Relief USA, with healthy lunches that include fresh fruits, whole grains, colorful vegetables, proteins such as lean meats, and low-fat dairy products.